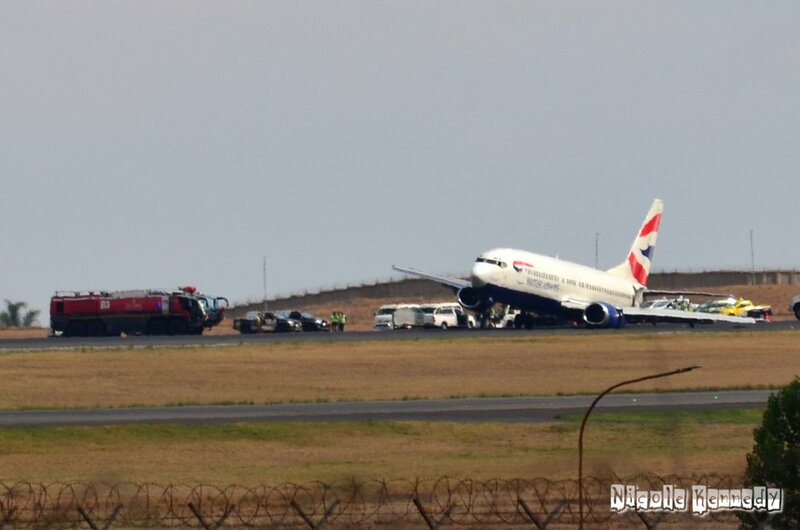 The main gear of a Comair (a British Airways franchisee) collapsed at OR Tambo International Airport in Johannesburg on Monday. The pilot made an announcement, informing passengers that the “left landing gear had broken off” after the emergency landing took place. “This caused the plane to hit the runway at an angle. 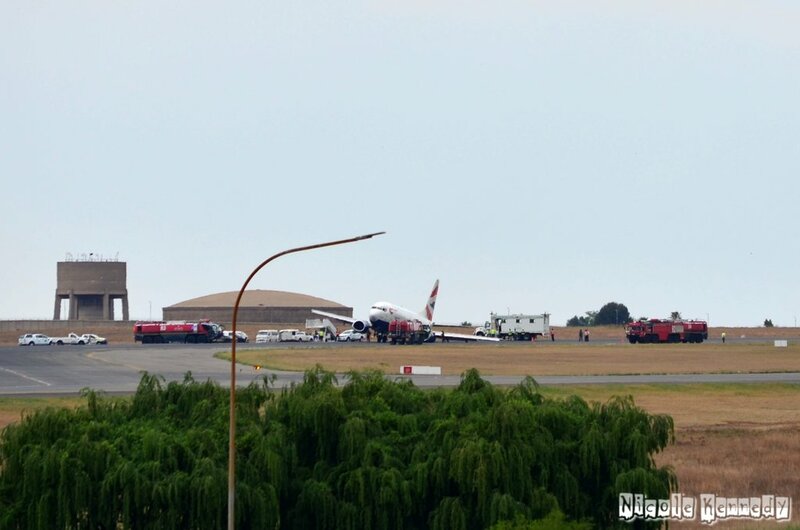 We could see sparks as the left wing and the engines were scraped across the runway,” Mann told Traveller24. 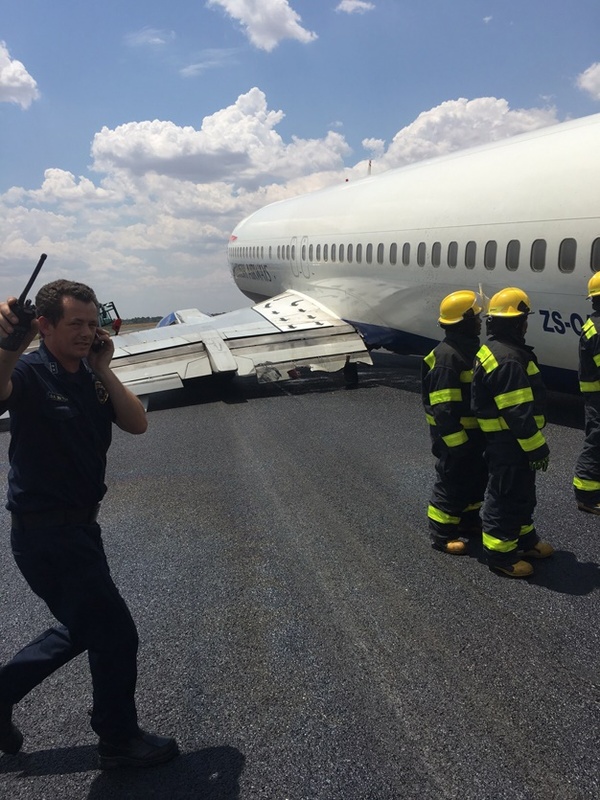 “We were met by fire and rescue operation who continued to spray the plane and we then disembarked via an emergency staircase,”Mann said.